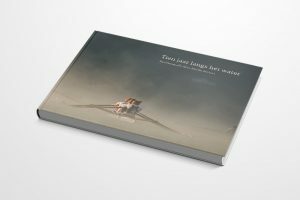 On December 3rd photographer Merijn Soeters will release his book ‘Ten years by the Water’. 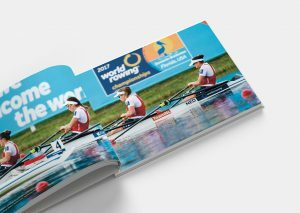 The book is a compilation of Soeters’ best rowing photos taken between 2007 and 2017. This coffee table book collects nearly 250 photos of rowers, with an emphasis on the Dutch. It combines images of Dutch amateur athletes with incredible images of elite athletes during European and World Rowing Championships located around the world. It depicts the sport of rowing sport in all its beauty on Dutch and international waters. With his wide overviews and personal close-ups Soeters hands his audience a broad but intimate view of the sport. Merijn Soeters works as a freelance photographer for numerous papers and magazines and is regarded as the primary photographer for, amongst others, the Dutch Royal Rowing Federation. His style is to be described as journalistic storytelling with great attention for detail and aesthetics. ‘Ten years by the water’ has an English translation included. It is privately published in horizontal format: 30*24cm (12’ * 9 ½’). It weighs about two kilos and can be ordered via www.merijnsoeters.com. Book can be ordered via this link.